The presidential bid of Omoloye Sowore, publisher of the popular online newspaper, Sahara Reporters, hit a snag thursday as youths protested against him when he paid a courtesy visit on the Emir of Kano, Muhammadu Sanusi II, at his palace in Kano. 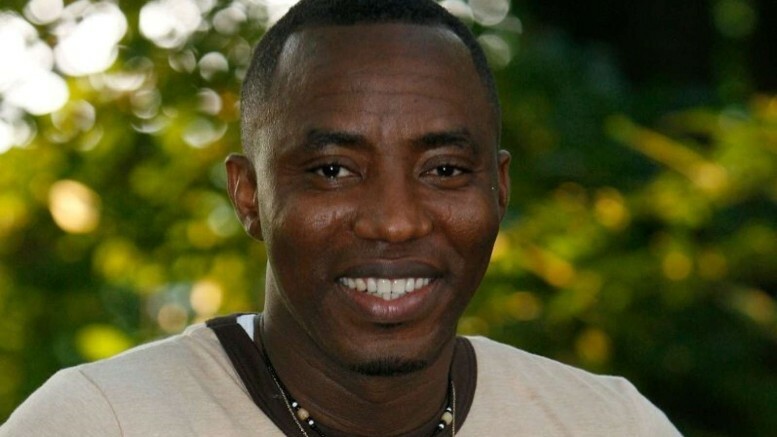 Sowore has become a constant critic of President Muhammadu Buhari’s administration since launching his presidential bid recently. The incident occurred at around 12.noon when the youths, in their hundreds besieged the emir’s palace after being informed of Sowore’s visit to the emir with placards bearing different inscriptions. Investigation revealed that the youths disguised as the emir’s visitors, while waiting for the presidential aspirant, who was ushered in by the palace guards to meet the emir. It was also observed that the drama began when Sowore’s four-car convoy was coming out of the palace, the youths then stormed the white Mercedes Benz which he boarded and started rising the placards for him to see. Some of the placards read: ‘We are not in support of Sowore’, ‘Sowore you are not welcomed to Kano’, ‘Your anti-Buhari agenda will not work’, among others. It was also at the climax of the scene that the driver was able to zoom off. Speaking also, the President of Kano State Youth Council, Kabiru Lakwaya, who led the protest, said they staged the peaceful protest in order to show Sowore that he would not succeed in his presidential bid. “As youths, we don’t even know Sowore’s pedigree in the development of this country. I think he has just been employed by some unscrupulous politicians to cause distractions to Buhari’s good leadership style. Lakwaya also vowed that they would not support any other candidate but Buhari. Another protester, Abdullahi Abubakar, a student of Bayero University Kano, also said they were not in support of Sowore’s bid. He alleged that the Sahara Reporters publisher was only on a mission to compound the issue of dividing Nigeria when he gets to power, stressing that the youths in Kano, who were the highest in the country, would not give him any chance. Meanwhile, at the palace, Sowore said he was at the palace to greet the emir because he was the advocate of youth development. According to him, Nigerian youths are tired of being blocked by the old politicians in governance, stressing that that was the main reason he launched his presidential aspiration. Sowore added that as an aspirant in the coalition party, he could turn things around in Nigeria within the shortest period of time, boasting that he could build Kano-Kaduna road in months. In his remarks, Emir Sanusi cautioned politicians against violence, urging them to engage in issue-based campaigns. Sanusi also called on politicians to shun all forms of violence that would engender the life of the masses, noting that that would not augur well for the development of the country. Be the first to comment on "Pro-Buhari Protest Erupts as Sahara Reporters Publisher, Sowore Visits Emir of Kano"